To ensure a clean supply of air to the powerful diesel engine, a snorkel air intake is placed directly behind the operator's overhead guard. 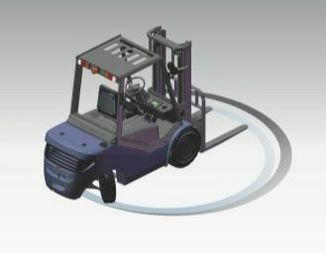 RY forklift engineers carefully located engine, exhaust & radiator & designed the counter weight grill to ensure optimal release of heat for efficient operation. The powerful 6-cylinder diesel engine is designed to comply with the emission regulation ​EN 97/68 stage IIIa. The shift lever can be operated with just the finger tips,boosting handling efficiency while reducing operator fatigue. 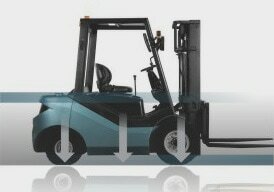 The Powerful Hydraulic Transmission provides powerful acceleration response. Driver productivity has been increased by studying operational needs. 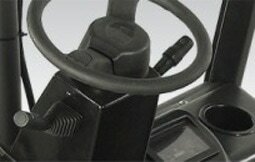 Even occasional drivers will find RY heavy duty trucks simple and intuitive to drive. 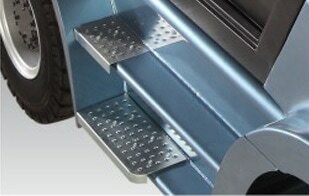 An inching pedal allows even more driving control when approaching racks or picking pallets. 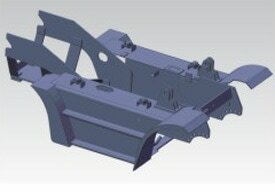 relationship and then designed a heavy-duty truck that provides excellent driver ergonomics. You’ll notice the difference before you even start the smooth RY engine. A wide step provides easy entry and exit to the spacious operator area. This is especially welcome in daily use. you will enjoy each driving minute. The LED Combination Lamp is designed for safety and performance. 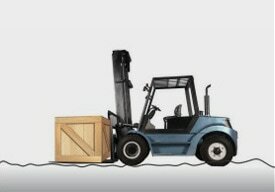 LED lamps are used for their durability and because they are brighter than traditional lamps mounted on conventional forklifts. 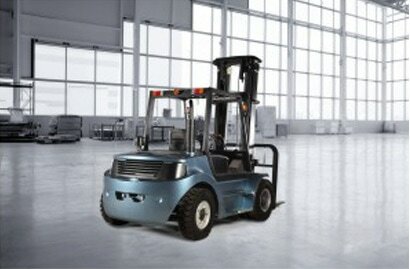 The amber caution lamp flashes when the forklift is started or placed in reverse. When operating the truck, full hydraulic power steering provides effortless manoeuvering, even with heavy loads.The tiltable steering column features a steering knob for a comfortable, relaxed grip on the wheel. With optional suspension seat, the operator can experience great driving comfort by adjusting the seat backrest, the seat position, and the suspension grade according to different driver’s height and weight. ​​Because of the new tube-shaped material applied to the overhead guard, the cabin can be removed easily. With a full glass cabin and less plastic in the design, the operator is provided with a wide view of all surroundings easily. 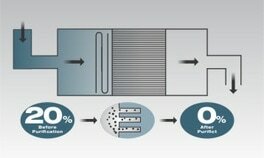 The optional exhaust purification assembly can dramatically purify the harmful gas into harmless carbon dioxide and water vapor, reducing harm to human beings and the environment.